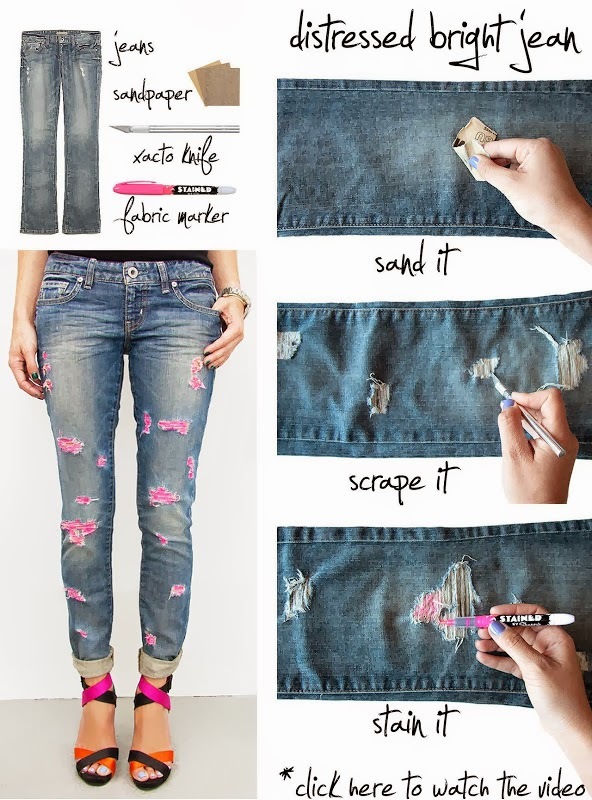 You can make your jeans more attractive and fashionable by using sandpaper, xacto knife and fabric marker. Just sand the cloth, scrape it with the knife and stain it with the marker. Your jeans will be more fresh and trendy.